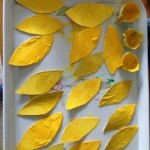 It’s been a while since we have done any organised art and craft together. 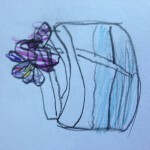 The “doodle drawers” are emptied on a daily basis, and as far as the little ones are concerned, “making time” is all the time, but I haven’t had it in me to plan any activities for them recently. 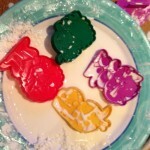 They have, of course, been perfectly happy independently creating and mess-making, but I have missed doing it with them. 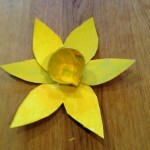 It has taken your daffodil boy to give me the motivation to get on with it, and I am thankful for that. 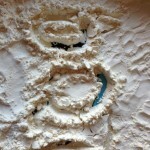 A little bit of art therapy proved to be exactly what I needed. And now, our Spring display is up. It is the first thing I will see every morning when I come downstairs, and when I come in from outside too. And if I needed a reminder, which I don’t really, it will make me think about Freddie every day. 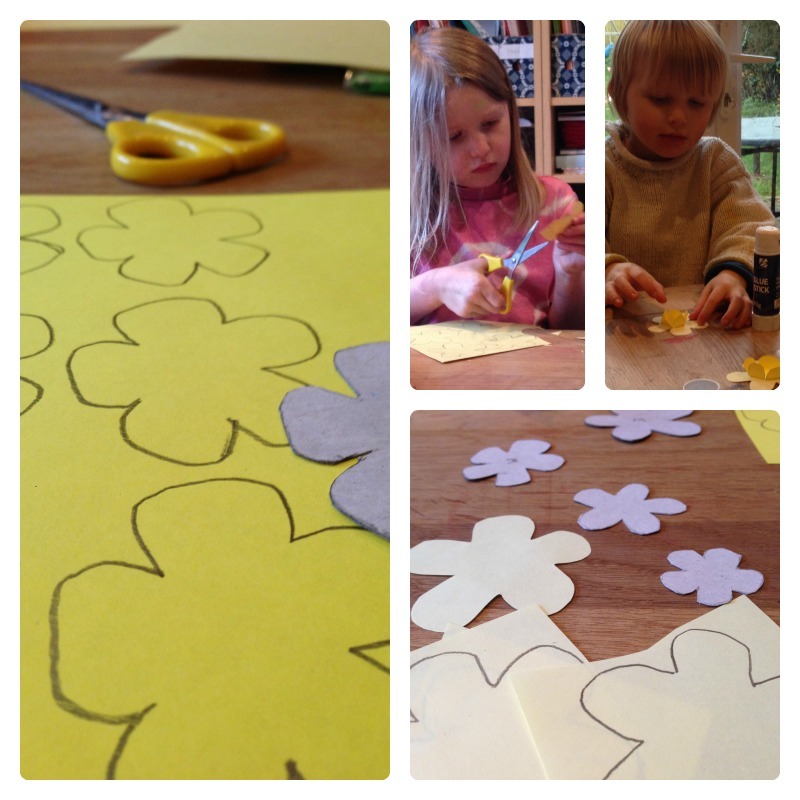 This entry was posted in Craft and tagged #daffodilboy, daffodils, Freddie, Spring on April 1, 2014 by Hannah. I was already a little behind on blogging when my laptop finally broke beyond repair last week (it was around 7 years old.) I have now borrowed a temporary replacement, so I can catch up a bit. 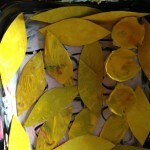 There are so many things that I would like to blog properly, but it is probably not going to happen. So anyway, these are some of the things we did in the week beginning 11th March. Having enjoyed experimenting with finger paint, we continued on our theme of writing and drawing with our fingers in a variety of materials. 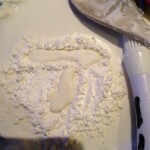 At the beginning of the week we played with flour, and later in the week repeated the activity with cornflour mixed with water, which was very messy but great fun. After the success of the daffodil pictures, I decided that we would do some more Spring drawings while we were on a roll. 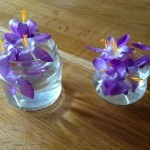 Our garden has been full of beautiful crocuses for a while, and I brought some of them inside for the children to draw when we had Home Education group at our house. I’m glad now that we got round to doing it before the snow returned. 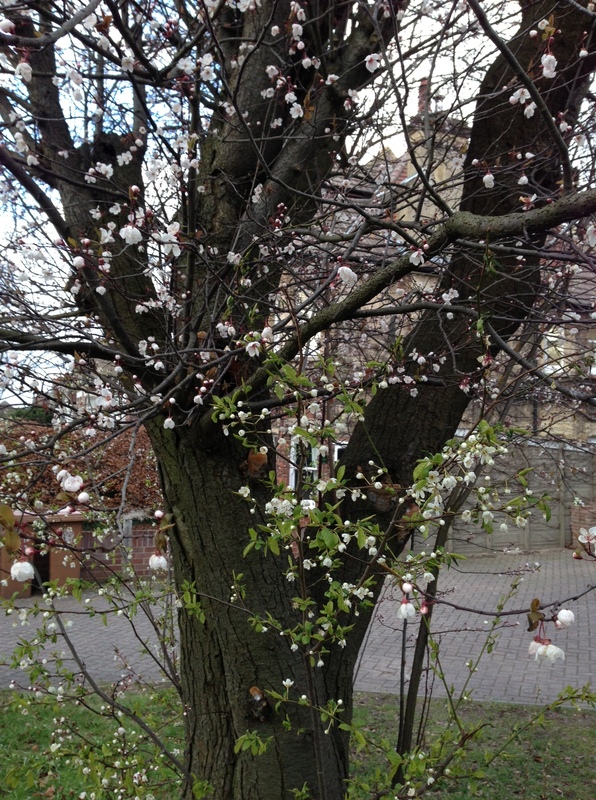 We also had fun drawing the blossom tree in our front garden – a lovely springtime activity, though we did need to wrap up warm! The children sat on a picnic blanket and observed the tree very carefully, taking their time over their drawings. I think the passers-by were quite amused, by the looks we got, but the children took it very seriously and were proud of the results. I haven’t taken photos of the drawings yet, so will have to add them later. I was hoping to draw some more Spring flowers and create another display, but now that everything has been covered in snow again I think we will have to wait a while. 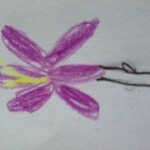 This entry was posted in Art, Home education, Playing and tagged drawing, flowers, messy play, Spring on March 23, 2013 by Hannah. 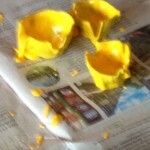 We made some egg box daffodils yesterday for our Spring display. Scissors, stapler, double-sided tape or PVA glue, normal tape. 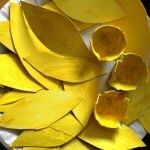 Cut the bottom of the egg box into sections, and trim round each one to neaten it as much as possible, but don’t worry too much if they are a little rough around the edges. 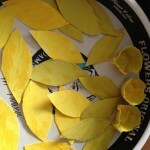 Cut petal shapes out of an old cereal box. You need six for each daffodil. 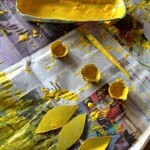 Paint everything yellow! 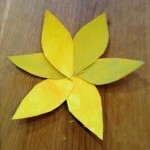 When they are dry, arrange 6 petals in the shape of a flower head and staple them at the centre. 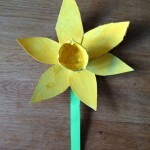 Use double sided tape or PVA glue to stick the egg box trumpet to the flower head. 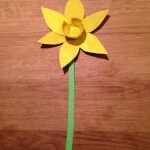 Tape a strip of green paper to the back of the flower head. 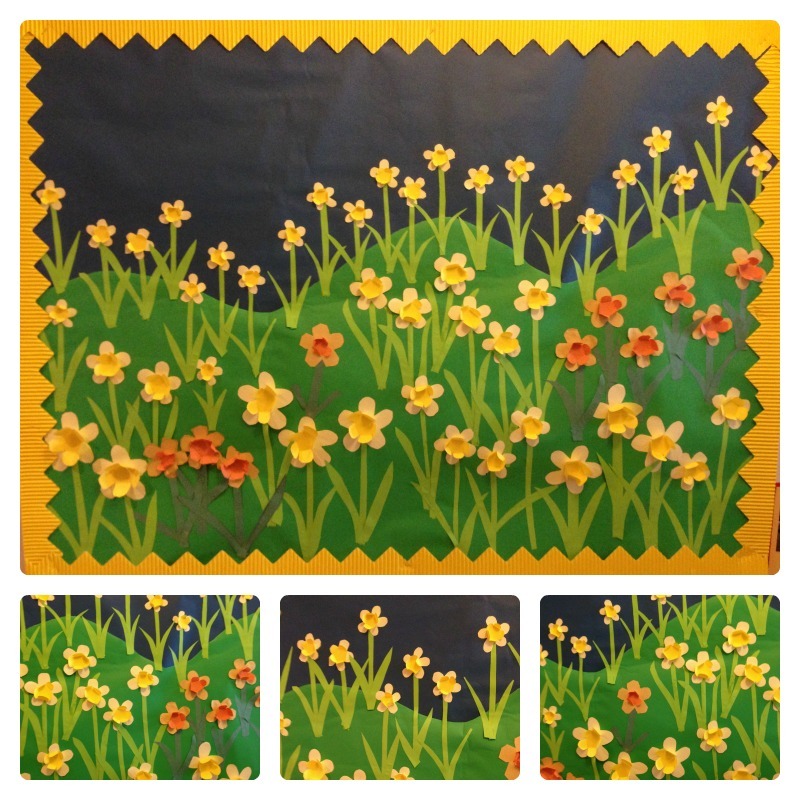 These are the finished daffodils, along with our daffodil drawings, on our spring display. 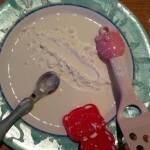 While I was thinking about doing this activity nearly a week ago, I saw a blog post which reminded me to get on with it. So if you’d like to try another (more detailed) version, have a look here. 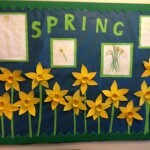 This entry was posted in Art, Craft, Home education and tagged daffodils, display, painting, Spring on March 13, 2013 by Hannah.